I come from a perspective of an evolutionary astrologer. By tracking the energy of the universe, I paint a picture for my clients of both good energies and negatives coming their way. Do I predict the future? No and any astrologer who tells you they can – well, run away, run away fast from them! What I do is alert them of the learning curves the universe is bringing their way. Pluto is a pip. Named for the god of the underworld, the role of this planet is to dig up that which we have hidden. All of those little lies, little secrets we tell one another to fake our way through life is the target of this little icy dynamo. Because his path is very wobbly and he is so far from the Sun, (two of the reasons they downgraded him to a dwarf planet) Pluto takes an extremely long time to make a path around the Sun. 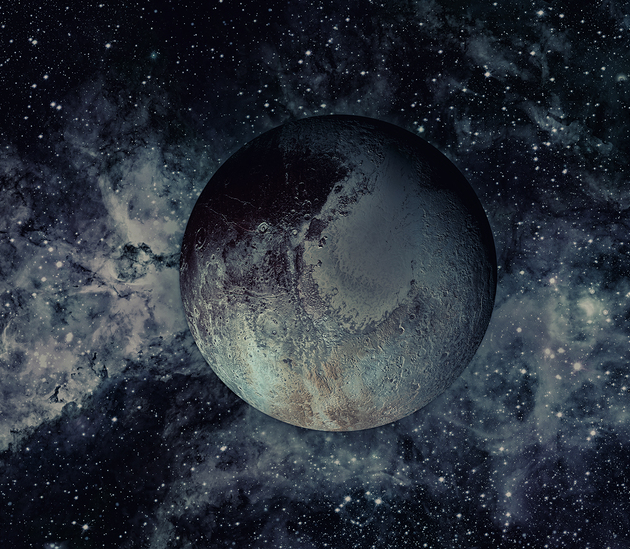 It takes about two hundred forty eight years for Pluto to make one swing around the Sun. This glacial speed makes him a planet that is very hard to ignore. He sits and digs and digs and refuses to allow us to push him away like an annoying fly. He digs at the secrets and the lies that we bury like old dog bones. And he won’t stop. How do you stop the god of the underworld? You can’t. Pluto will bring up the secrets one way or another. He will put them in your face and hold your nose in them. That all sounds mean but mean is a word that the universe does not recognize. Pluto does us a favor. Who wants to live a life of self-lies? Who wants to wallow in secrets? It is in’t healthy. There are twelve houses of the zodiac. Each has an influence over a segment of our lives. 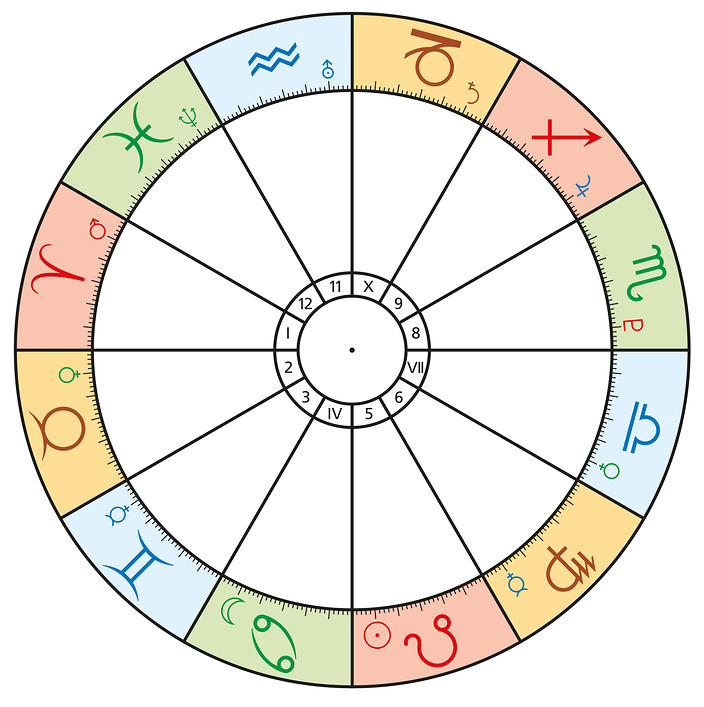 When Pluto transits one of the twelve houses of the zodiac, especially when he enters and exits that house, he makes himself known. Pluto is now on the cusp of my fourth house. This controls our relationship with our family, often our birth family, and deals with issues at our primal core. I explain to my clients that the fourth house is where we must look at ourselves with all of the masks and roles we play stripped away. It is where we must face our hidden self. What a wonderful place for Pluto to rest for eight years! Yes, that is how long he takes to get out of each house. Eight wonderful years. I braced myself for the results of Pluto’s digging - I am a trained astrologer – come on Pluto do your worst. Well he did. I will spare you the boring aspects of my crazy family because I know I must be the ONLY creature in the world with a wacko birth family. What is that saying, “every family is dysfunctional in their own way?” Mine is in spades. Just as I found myself screaming into the phone to one of my sisters who was about to take a trip with another, “Don’t you two kill yourselves because I will be stuck with that other wack job,” I know that I needed some help. The universe must have heard my desperation and then came the alert that Mari had a new workbook. 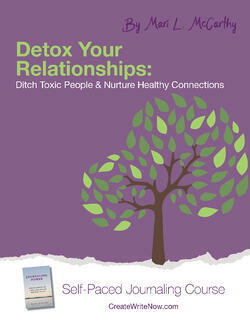 “How to Detox Your Relationships.” I was in! I was hooked on the first chapter. “You are the average of the five people you spend the most time with.” Boy, did I have to make some changes. Suddenly, I realized that she was going to make this easy because the first examination we had to make was not our evil mother or annoying sister or disappointing mate. No, the first person we had to look at was ourselves. Mari asked the question, ‘What is the relationship with yourself?” This wasn’t going to be pretty but like Pluto, it was necessary. After all, how can we relate with others if we can’t deal with ourselves? Whom will you let in? Who do you want in the precious thing called your life? That page kept me enthralled for a while. Why are you letting people into my life just because you share DNA? What else do you have to offer? What else do you have to offer…me? Sit with that awhile. Who is worth your life? I was a good week on that one. The most poignant exercise was to write a love letter to the person(s) who makes your life whole. It was wonderful to tell my fellow “Mercury Mavens” – a group of people with a good deal of Gemini in their charts – just how they keep me sane. I am redoing much of the program, something I will do again I am sure. Please do yourself a favor. Do not wait for Pluto to force the subject. Get into a relationship with yourself – and then see who is worth YOU. “Detox Your Relationships” now! 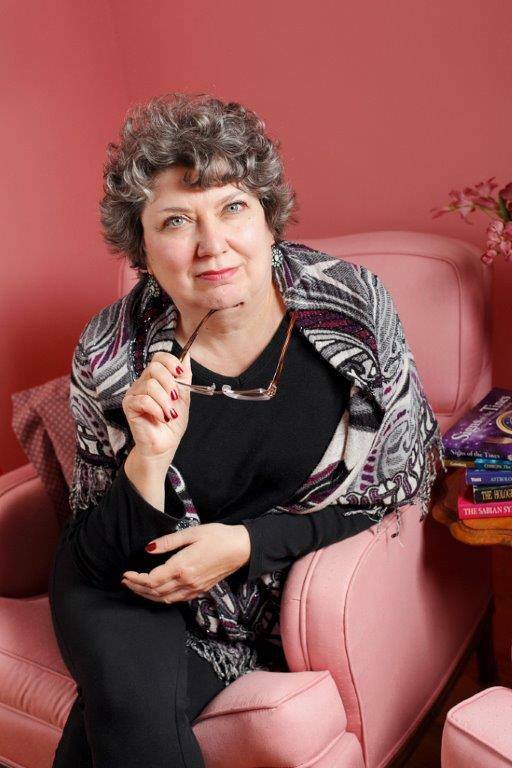 Note from Mari: Would you like a free birth chart from Joan? Contact Mari and ask about her Journaling Power VPR offer.